Haven't dived in over six months? You need to enroll in our PADI Scuba Diving Refresher Course so you can review your scuba skills which and make you feel comfortable again underwater. During these simulated diving situations, you will get to practice again the basics such as mask clearing, out of air procedures, and other essential skills. This scuba refresher lesson will also test your comprehension of important dive safety theories, dive planning essentials, and problem management. The PADI Scuba Diving Refresher Course will not only reinforce and upgrade your existing knowledge but it will also help prepare you for the next level of training. Upon completion, you will receive a replacement certification card with a Scuba Refresher date on it. Interested participants should possess an Open Water scuba diving license at the very least. Can’t wait to dive in the water again? Just click the "Book Now" button and you're a step closer to hitting the beautiful dive sites in Dubai. Please choose the date and time that is most convenient for you and we’ll take care of the necessary details. 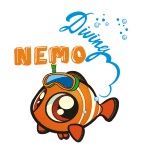 Once booked, we will meet you at the Nemo Diving Center on the agreed schedule to fill out some forms and fit your scuba equipment. Our PADI-certified instructors will accompany you to the beach of Dukes Hotel in Dubai for the actual dive training.